Impala are one of the most common antelope on the plains of Africa. Medium in stature, their hides blend from dark caramel on their backs to off-white on their bellies. Rams have gently curved horns and can be heard throughout the day and night uttering loud snorts and grunts. 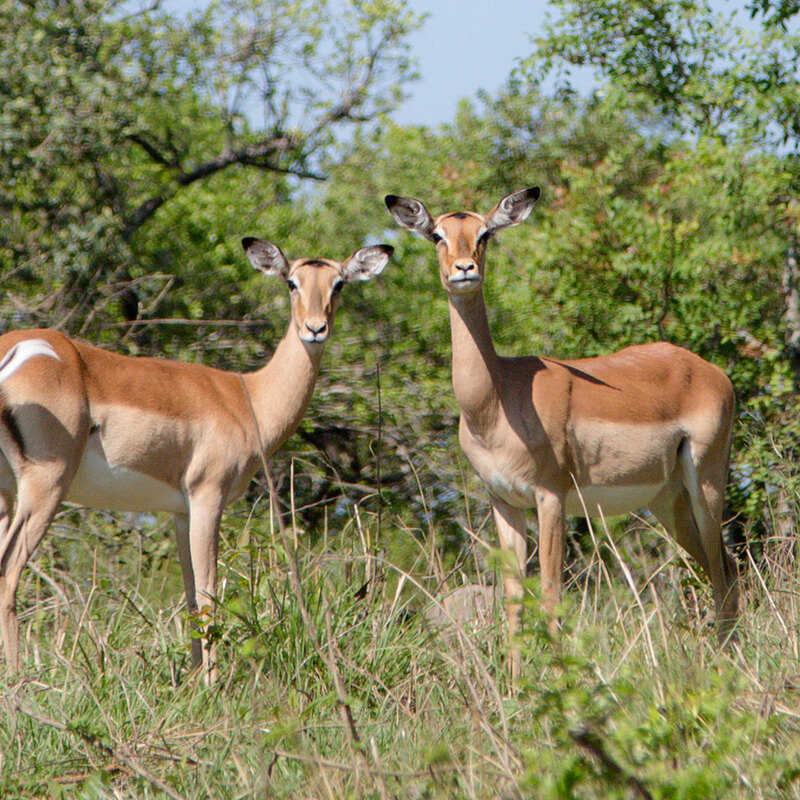 Impala live in herds of up to 50 animals consisting mainly of females, calves and non-dominant males. Herds graze and browse in open woodland savanna and flat grassland, not straying too far from water sources. Although much smaller than Kudu, they can leap just as high (3 metres), with jumps sometimes reaching lengths of up to 12 metres. Did you know? Impala males are great actors. If herds of females try to leave the boundaries of his territory, he takes a stance usually used to indicate danger in an effort to scare them back into his controlled area.